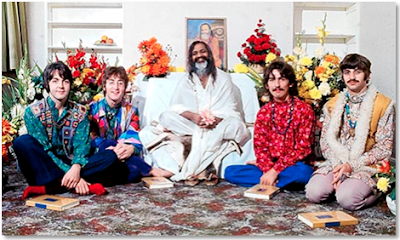 When the Beatles helped to bring Transcendental Meditation (TM) into vogue in the 1960s, few could imagine then that the mystical Hindu practice would endure beyond the hippie generation and become commonplace today from the elementary school classroom to the Christian church. Maharishi Mahesh Yogi, a guru to the Beatles who introduced the West to transcendental meditation, died Tuesday at his home in the Dutch town of Vlodrop, a spokesman said. He was thought to be 91 years old… Once dismissed as hippie mysticism, the Hindu practice of mind control known as transcendental meditation gradually gained medical respectability. He began teaching TM in 1955 and brought the technique to the United States in 1959. But the movement really took off after the Beatles attended one of his lectures in 1967. Maharishi retreated last month into silence at his home on the grounds of a former Franciscan monastery, saying he wanted to dedicate his remaining days to studying the ancient Indian texts that underpin his movement…. With the help of celebrity endorsements, Maharishi - a Hindi-language title for Great Seer - parlayed his interpretations of ancient scripture into a multi-million-dollar global empire. His roster of famous meditators ran from Mike Love of the Beach Boys to Clint Eastwood and Deepak Chopra, a new age preacher. 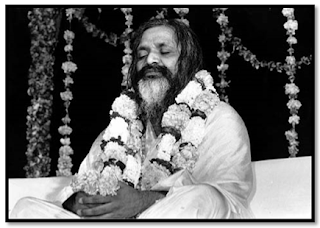 After 50 years of teaching, Maharishi turned to larger themes, with grand designs to harness the power of group meditation to create world peace and to mobilize his devotees to banish poverty from the earth. Note that the Maharishi’s “Hindu practice of mind control” was mined from “the ancient Indian texts” (i.e., the Vedas & Upanishads) and not the Holy Bible. TM.org, a website devoted to promoting the guru’s Transcendental Meditation, quotes its founder, the Maharishi, who admits candidly that the goal of the mystical practice is to achieve “the state of enlightenment” —which is an altered state of consciousness wherein the meditator realizes his/her own divinity. Dr. Brown’s synopsis of TM is sadly correct. This journey to occult enlightenment takes the meditator into an altered state of consciousness—“a drugless high that even the narc squad might enjoy”—a practice that the Bible condemns (Deut. 18:9-13; 2 Ki. 17:7-9; Rom. 12:2). 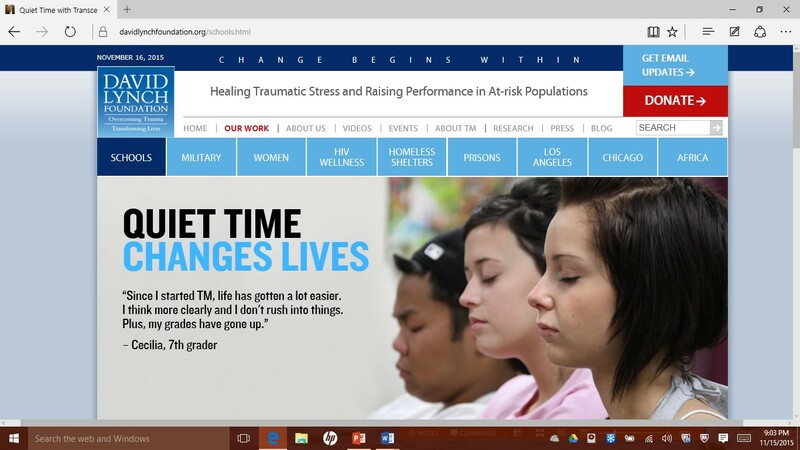 Note how enticing the TM website describes this “drugless high”: “The TM technique allows your mind to easily settle inward, through quieter levels of thought, until you experience the most silent and peaceful level of your own awareness — pure consciousness.” There is no thinking, only feeling. Rather than relying on rational faculties, the meditator focuses upon the mystical experience. Eastern meditation is occult mysticism. It is a practice that is diametrically opposed to Sola Scriptura: objective truth that the Lord God spoke—breathed—into His Word, the Bible (2 Tim. 3:16). Through the decades since the British music invasion to America, savvy change agents have successfully marketed Eastern meditation to modern consumers—including American Christians—seeking relief from the mounting stress of day-to-day life and temporary escape from a mind-muddling world. Besides citing research by the National Institutes of Health, the American Medical Association, the American Psychological Association, and the American College of Cardiology, the TM website boasts celebrity endorsements from Jerry Seinfeld, Ellen DeGeneres, and George Stephanopoulus, anchor of ABC’s Good Morning America. It also includes testimonials from the Mayo and Cleveland clinics. Contrary to the disclaimer that “it is not a religion”, Transcendental Meditation was indeed birthed in the depths of the occult realm. Directly opposed to biblical teaching, Eastern religions teach that “God” (or divinity) transcends all creation and is also imminent in all creation (which is called panentheism). According to this false teaching, within every human soul lies an “inner divinity”, “higher self”, “higher consciousness”, “divine spark”, “Atman,” divine Presence,” etc.– that can only be recognized or awakened through meditation (Eastern mysticism). This spiritual awakening is called, “self-realization”, “cosmic consciousness”, “enlightenment”, “samadhi,” etc. …[W]e are witnessing a spiritual revival and revolution which is happening at the grass roots level of society as a whole, and which appears to be a culture in its own right, regardless of the views of either scientific or traditional religious thought and dogma. Astrology, healing, telepathy and ESP, the out-of-body and near-death experience, as well as reincarnation and past life regression, have become bridges to a new religion…. [I]t is modern science, particularly quantum physics that is now inadvertently offering verifiable scientific information on the nature of the universe and the validity of the mystical and supernatural. This can surely only lend support to a growing body of evidence, which… will soon come to confirm the unity in all things, and the amazing untapped power and potential of The Mystic Mind. The word ‘Mystic’ originally comes from the Greek word for ‘mystery’ – meaning ‘the unexplainable’ – whose own root word means quite simply, ‘with closed eyes’. According to mystic philosophy, one cannot gain a full understanding of God, the nature of the universe, or indeed the ‘Self’, [i.e., ‘higher self’] by external or physical means alone since God, religion and spirituality all exist within our own selves, within our own souls. By ‘closing the eyes’ and shutting out the external physical world of the five senses through introspection, meditation or prayer, a divine union with God, vision or revelation may be experienced by the individual…The mystical journey is, by its very nature, a journey into the self, and a journey ultimately made alone. To access this immense unconscious data bank of information we have to switch-off the intellectual apparatus, the medium for conscious thought and perception – the left brain. We have to delude it, literally hypnotise [sic] it – lull it into a non-active phase. As soon as we have shut this door, as soon as we put the conscious mind to rest, to sleep, the other door – the door into the unconscious – opens. What might Satan be saying to the meditator as he “seizes the silence”? In stark contrast to Eastern meditation, Christian meditation involves an active and engaged mind—not one that has been switched into neutral and vulnerable to demonic entities. Christians ‘meditate’ by ‘pondering’ or ‘thinking deeply’ about God’s Word—NOT by ‘emptying their mind’ and entering into an altered state of consciousness. “When I remember You on my bed, I meditate on You in the night watches….” (Ps. 63:6). (See also: Ps. 4:4; 104:34; 119:97). But regardless of these very real and spiritually dangerous concerns, Eastern meditation is revolutionizing our culture at an alarming rate—and our young people are in the bullseye of TM marketers. I started Transcendental Meditation in 1973 and have not missed a single meditation ever since. Twice a day, every day. It has given me effortless access to unlimited reserves of energy, creativity and happiness deep within. This level of life is sometimes called “pure consciousness”—it is a treasury. And this level of life is deep within us all. But I had no idea how powerful and profound this technique could be until I saw firsthand how it was being practiced by young children in inner-city schools, veterans who suffer the living hell of post-traumatic stress disorder and women and girls who are victims of terrible violence. TM is, in a word, life changing for the good. In 2005, we started the David Lynch Foundation for Consciousness-Based Education and World Peace to ensure that every child anywhere in the world who wanted to learn to meditate could do so. 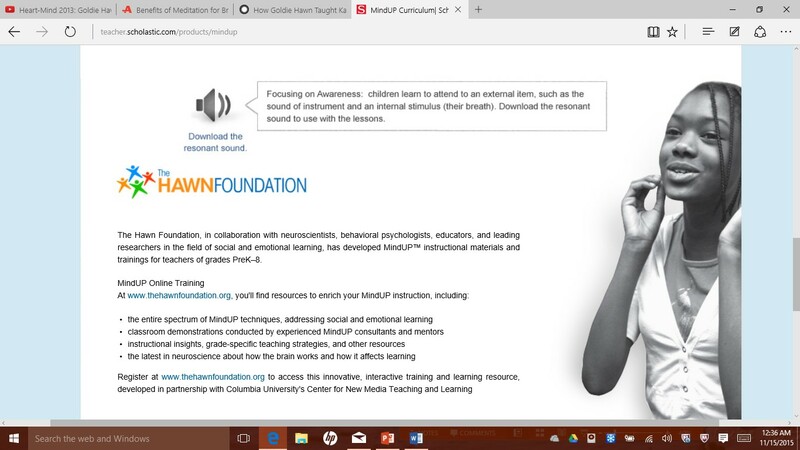 Now, the Foundation is actively teaching TM to adults and children in countries everywhere. How are we able to do it? Because of the generosity of foundations and philanthropists and everyday people who want to ease the suffering of others—and who want to help create a better world. If you don’t already meditate, take my advice: Start. It will be the best decision you ever make. A few of the “everyday people” who have joined Lynch in promoting his TM gospel are celebrities such as Gwyneth Paltrow, Ellen DeGeneres, Russell Simmons, Katy Perry, Susan Sarandon, Candy Crowley, Soledad O’Brien, George Stephanopoulos, Russell Brand, Howard Stern, Laura Dern, Clint Eastwood, Jerry Seinfeld, Paul McCartney and Ringo Starr. Here is the short list of other celebrity meditators: Demi Moore, Hugh Jackman, Jennifer Aniston, Burt Reynolds, Mary Tyler Moore, Halle Berry, Jane Fonda, Martin Scorsese, Jeff Bridges, Mick Jagger, Angelina Jolie, Kourtney Kardashian, Sheryl Crow, Shirley Maclaine, Jeff Goldblum, Cameron Diaz, Mariel Hemingway, Eva Mendes, Rupert Murdoch, Robin Roberts, Ivanka Trump, Liv Tyler, Tina Turner, Steven Seagal, Richard Gere, Sting, and Arnold Schwarzenegger. Astonishingly, Transcendental Meditation is now being widely embraced by educators and parents who are charged with protecting children—but who are instead exposing young people to this occult practice. But all of the famous people listed above cannot match the notoriety or reach of New Age evangelist, Oprah Winfrey and her former health expert on The Oprah Winfrey Show, Dr. Mehmet Oz. They have been hugely effective spokespersons for TM—using the massive scope of their television audiences, print media, and the Internet to promote this particular flavor of Eastern mysticism. 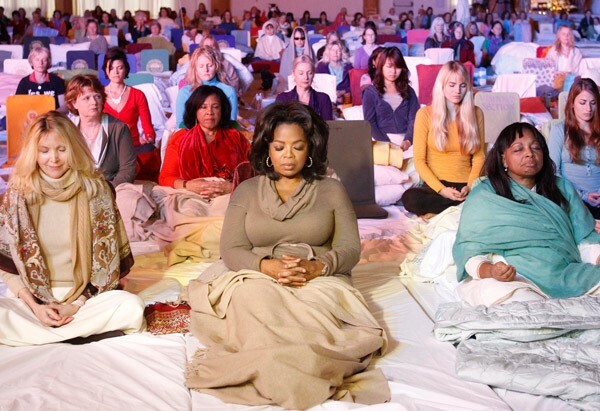 Oprah just recently teamed up with New Age guru, Deepak Chopra, for an online ‘21-day Meditation Experience’. This already burgeoning celebrity TM network is growing. 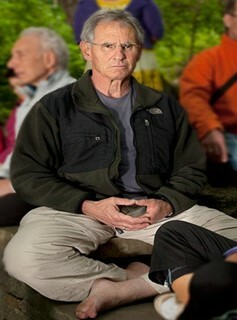 Jon Kabat-Zinn, the father of MBSR [mindfulness-based stress reduction], doesn’t look like the kind of person to be selling meditation and mindfulness to America’s fast-paced, stressed-out masses. When I met him at a mindfulness conference in April, he was dressed in corduroys, a button-down shirt and a blazer, with wire-rimmed glasses and a healthy head of thick gray hair. He looked more like the professor he trained to become than the mindfulness guru he is. 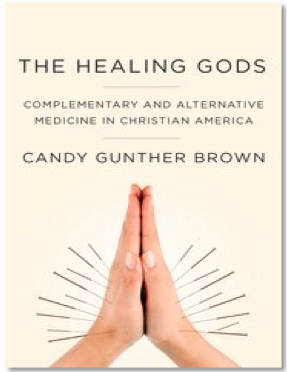 But, what if “Buddhism-based meditation” draws patients into the occult world and away from the God of the Bible—regardless of whether or not it helps them cope with pain or reduces their physical suffering? Actress Goldie Hawn, known mainly for her comedic roles spanning a half century, has become a formidable prophetess of Mindfulness meditation to this generation of young people. We have to be able to teach our children how their brains work. We have to be able to bring contemplative practice into the classroom—under a different name—because obviously people would say, “Oh, meditation,” they think or “Oh, this is Buddhist, or this is whatever.” Well, His Holiness [referring to the Dalai Lama] absolutely doesn’t have any denomination in this. I mean, when he said ‘educate the mind and heart’ he’s not talking about religion. He’s talking about the right practice [i.e., meditation], that creates the right neurological firing, that creates new pathways in the brain, that create a better outlook on life. And that’s what we want to teach our children in school. Hawn’s statement, “’His Holiness’ absolutely doesn’t have any denomination in this,” is a blatant lie. The Dalai Lama claims to be the 14th incarnation of the original Buddha—a Buddhist deity. He is known as the Tibetan ‘god-king’, a title which denies the distinctive exclusivity of the Lord Jesus Christ, who is the only God-King (2 Pet. 1:1; 1 Jn. 4:2; 1 Tim. 6:14-16; Rev. 19:16). 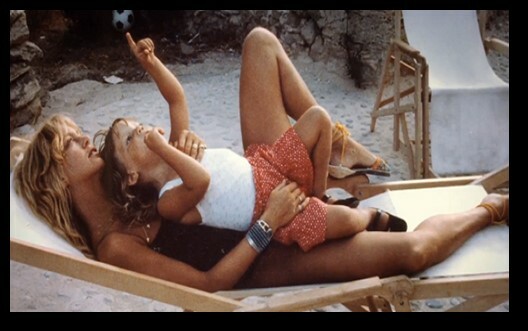 In 2003, I established the Hawn Foundation to help children create greater brain health through mindfulness practices. Working with neuroscientists, we've shown that meditation offers a way to change brain chemistry. 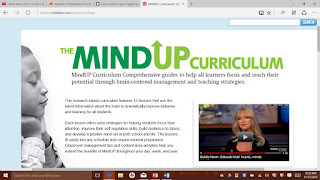 Through our MindUP™ program in schools, we've demonstrated that if students take two minutes for a brain break three times a day, optimism in the classroom goes up almost 80 percent. On the playground, aggression goes down about 30 percent. Sadly, many professing Christians are behaving like Hindus and Buddhists too. They are tapping into the same occult root as the Maharishi, Lynch, Kabat-Zinn, Winfrey, Hawn, and many others. But the ‘Christian Meditation’ they offer is NOT Christian, but Hindu and Buddhist. Christian Meditation is different than traditional meditation in that believers are meditating on God, his presence, his glory, and his Word. Are you wary of meditation? Many Christians today view meditation as a new-age or pagan phenomenon, closely related to witchcraft, secularism and anti-Christian, but these beliefs are false. Meditation, like the written word, is a tool that can be used by any person for any purpose, and one of its most divine purposes is to strengthen and clarify your relationship with the Lord. 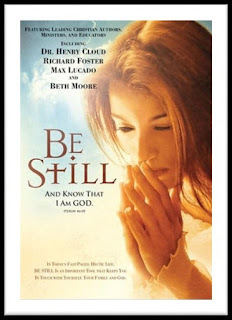 The Bible even uses the word “meditate” many times, each time encouraging us to pray and reflect upon the glory of the Lord…When Christians run from the idea of meditation in fear that it will leave them vulnerable to satan [sic] or to other evil spirits, they forget what meditation really is in the simplest terms. To meditate is to devote the entirety of your being to one thought, feeling or idea. Any time you find yourself focusing wholly on one thought (whether you’re trying to solve a problem or simply ruminating on how angry you are with another person), you are, in fact, practicing a form of meditation! But these statements betray the truth found in an advertisement directly underneath them on the same page. The “Guided ‘Christian’ Meditation” MP3s and CDs offered for purchase are identical to New Age guided meditation audios also available on Hindu, Buddhist, and New Age websites. The goal is an altered state of consciousness: a sensing or feeling of the ‘presence of God’ or ‘Higher Self’. The Lord Jesus Christ taught believers to pray with engaged rational thought, words with meaning, and with audible speech: “When you pray, say…” (Luke 11:1-4). 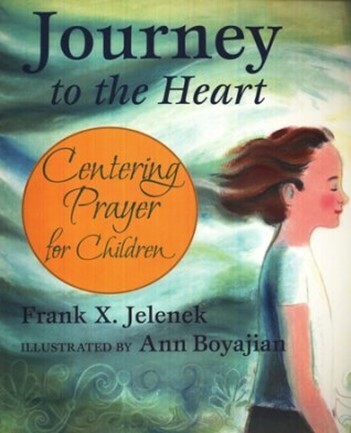 There is also a meditation book for children on this Christian website called, Journey to the Heart: Centering Prayer for Children, by Frank X. Jelenek. The observant reader will remember that Scholastic also features Goldie Hawn’s MindUP™ (meditation) curriculum (pictured above). Thomas Keating is a Trappist Roman Catholic monk and major architect of the contemporary Contemplative Prayer movement. Centering Prayer is foundational to his movement, which comes from the Roman Catholic mystics and Desert Fathers who adopted their form of meditation from the Hindus and Buddhists. There is nothing more devious than a lie told with subtlety… The phrase contemplative prayer sounds like a suggestion that we are to contemplate God's word or contemplate its meaning by thinking. However, that is not its real meaning or how it is practiced. [T]he first step in faith is to stop thinking about God at the time of prayer. The second step, "without moving your lips, repeat the sacred word [or phrase] inwardly, slowly, and often." The third step concerns what to do when inevitable distractions come. The answer is to simply return to listening to your sacred word. Gently return your mind to your sacred word. These mystical practices have also become indispensable to the New Apostolic Reformation (NAR). The “ancient streams” that Crowder refers to are a litany of past and present Christian and/or Roman Catholic mystics who have passed down various forms of occult mysticism, (like Contemplative Spirituality,) including: Bernard of Clairvaux, Teresa of Avila, Christina the Astonishing, the Cevennes Prophets, Brother Lawrence, Madam Guyon, John of the Cross, Charles Finney, John G. Lake, A.A. Allen, Oral Roberts, and even Todd Bentley, et al. It is frightening to contemplate what a powerful new breed of Christian mystics might accomplish in this generation. • It correlates with occult methods (i.e., mantra, vain repetition). • It is sympathetic to Eastern mystical perceptions (God in everything; all is One—Panentheism). 1. Image from Daily Mail, David Jones, “Lennon Was Right. The Giggling Guru Was a Shameless Old Fraud,” Feb. 6, 2008; see: http://www.dailymail.co.uk/tvshowbiz/article-512747/Lennon-right-The-Giggling-Guru-shameless-old-fraud.html. 2. CBSNews (AP) online, “Beatles' Guru Yogi Dies at 91”, February 5, 2008; see: http://www.cbsnews.com/news/beatles-guru-yogi-dies-at-91/. 3. Ibid. Daily Mail, David Jones. 4. Internet Sacred Text Archive online; see: http://www.sacred-texts.com/hin/. 6. The Hindu Forum, “What is the Hindu concept of enlightenment?” See: http://www.thehinduforum.com/threads/what-is-the-hindu-concept-of-enlightenment.690/. 7. 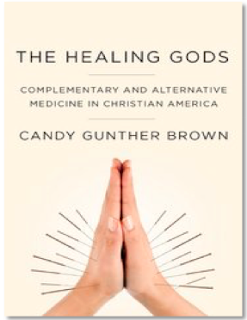 Candy Gunther Brown, The Healing Gods: Complementary and Alternative Medicine in Christian America, Oxford University Press, New York, 2013, pp. 41-42 (electronic format). See also: http://indiana.edu/~relstud/people/profiles/brown_candy. 8. Transcendental Meditation website: See: http://www.tm.org/meditation-techniques. 9. Ibid. The Healing Gods, pg. 2. 10. Ibid. TM website; see: http://www.tm.org/meditation-techniques. It concludes with "To learn more, contact your local certified TM teacher." 13. Ray Yungen, A Time of Departing, Lighthouse Trails Publishing, Silverton, OR, 2002, 2006, pp. 28-30. 14. Ibid. Yungen, pp. 15-17. Hinduwebsite.com, “The Concept of Atman or Eternal Soul in Hinduism,” See: http://www.hinduwebsite.com/atman.asp; also, Rita Geno, “The Meaning of ‘Namaste’, Yoga Journal, Oct. 3, 2014; see: http://www.yogajournal.com/article/beginners/the-meaning-of-quot-namaste-quot/. See also: Dictionary.com, “Samadhi”; see: http://dictionary.reference.com/browse/samadhi. 15. Ibid. Yungen, pg. 28; see also: “God in Everything? The Premise of Contemplative Prayer,” Lighthouse Trails, April 18th, 2012; see: http://www.lighthousetrailsresearch.com/blog/?p=174. 16. Crystal Love, The Mystic Mind, Fusion Press, London, UK, 2000, pg. 51. 17. The Mystica website: An on-line encyclopedia of the occult, mysticism, magic, paranormal and more, “As above, so below”; see: http://www.themystica.com/mystica/articles/a/below_above.html. 18. Michael Talbot, The Holographic Universe, Harper Collins, New York, 1991, pg. 290. Note: Talbot’s New Age book was extensively plagiarized by Christian author, Chuck Missler, who incorporated Talbot’s writings into his 1999 book Cosmic Codes without attribution. These findings were documented in “Without Attribution: Purloining New Age Ideas,” Herescope, Aug. 7, 2013; See: http://herescope.blogspot.com/2013/08/without-attribution.html. • Pastor Larry DeBruyn "The Force Be With You" Part 4: FROM COSMOS, TO CHAOS, TO CONSCIOUSNESS,” Herescope, October 30, 2010; See: http://herescope.blogspot.com/2010/10/force-be-with-you.html. Part 1: "The Physics of Heaven"
Part 2: "The Power of the Zero-Point Field"
Part 3: "Extracting the Precious From the Worthless"
Part 4: "Vibrating in Harmony With God"
Part 8: "Sound of Heaven, Symphony of Earth"
Part 10: “The Energy Angel” and the Energy Crisis: The Physics of Heaven, A Serial Book Review & Theological Interaction,” Herescope, August 17, 2015: See: http://herescope.blogspot.com/2015/08/the-energy-angel-and-energy-crisis.html. See also: Pastor Larry DeBruyn, “The Present of “His Presence”: “Emmanuel” — God is with us!”, Herescope, Dec. 31, 2013 http://herescope.blogspot.com/2013/12/the-present-of-his-presence.html; Also: Pastor Larry DeBruyn, “Evolution, Quantum Physics & New Age/New Spirituality,” Herescope, May 16, 2014; see: http://herescope.blogspot.com/2014/05/evolution-quantum-physics.html. 20. Ibid. The Mystic Mind, pg. 7-8. 21. Ibid. The Mystic Mind, Preface. 22. Ibid. The Mystic Mind, pg. 79. 23. Pastor Larry DeBruyn, “Who Goes There? Encountering Voices in Contemplative Prayer,” an updated version, Herescope, July 13, 2015; see: http://herescope.blogspot.co.za/2015/07/who-goes-there.html. See also, Pastor Larry DeBruyn, “On Meditating: Adjusted Living in a Maladjusted World” Herescope, June 6, 2008; See: http://herescope.blogspot.com/2008/06/on-meditating.html. See also: Sarah Leslie and Pastor Larry DeBruyn, “Altered States: A Different Gate: The sober Christian in a spiritually inebriated age,” Herescope, April 28, 2011; see: http://herescope.blogspot.com/2011/04/altered-states-different-gate.html. 24. Note: MEDITATE (Heb. hagah): “A verb meaning to growl, to groan, to sigh, to mutter, to speak; used figuratively: to meditate, to ponder…” See: The Complete Word Study Dictionary Old Testament, Warren Baker; D.R.E. and Eugene Carpenter, Ph.D., AMA Publishers, Chattanooga, TN, 2003, pg. 254. 25. Claire Hoffman, “David Lynch Is Back … as a Guru of Transcendental Meditation New York Times Magazine”, The New York Times Magazine, Feb. 22, 2013; see: http://www.nytimes.com/2013/02/24/magazine/david-lynch-transcendental-meditation.html?_r=0. 26. David Lynch on IMDb online; see: http://www.imdb.com/name/nm0000186/bio?ref_=nm_ov_bio_sm. 28. 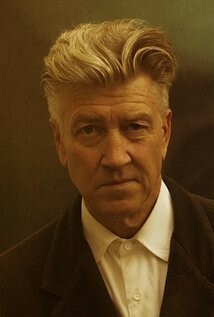 David Lynch Foundation website; see: https://www.davidlynchfoundation.org/message.html. 29. Ibid. Claire Hoffman. See also: Kory Grow, “Katy Perry, Sting Stun at David Lynch's Meditation Benefit Concert: Jerry Seinfeld, Angelique Kidjo, Jim James and others also perform and explain relaxation technique's importance to them at New York's Carnegie Hall,” RollingStone.com, November 5, 2015; see: http://www.rollingstone.com/music/news/katy-perry-sting-stun-at-david-lynchs-meditation-benefit-concert-20151105#ixzz3rtAVeNzl. 30. Transcendental Meditation website; see: http://tmhome.com/experiences/famous-people-who-meditate/. See also: George Thompson, “Celebrities who meditate,” The Telegraph, June 28, 2011; see: http://www.telegraph.co.uk/news/health/news/8602265/Celebrities-who-meditate.html. 31. David Lynch Foundation website; see: https://www.davidlynchfoundation.org/schools.html. 32. David Lynch Foundation website; see: https://www.davidlynchfoundation.org/schools.html. 33. Oprah Winfrey, “What Oprah Knows for Sure about Finding the Fullest Expression of Yourself,” from the February 2012 issue of O, The Oprah Magazine; see: http://www.oprah.com/health/Oprah-on-Stillness-and-Meditation-Oprah-Visits-Fairfield-Iowa#ixzz3rt0LkhpE. 34. See Dr. Oz’s website: http://blog.doctoroz.com/author/mehmet-oz. 35. YouTube, “Oprah Winfrey Introduces Transcendental Meditation,” July 8, 2013; see: https://www.youtube.com/watch?v=qP8FZgo1YFQ. See also: YouTube, “Dr. Oz and Oprah Talk Yoga Transcendental Meditation 2013,” see: https://www.youtube.com/watch?v=33ensTDPdDA. See also: Dr. Oz website: “Transcendental Meditation,” April 26, 2012; see: http://www.doctoroz.com/videos/oz-transcendental-meditation. 36. See Chopra’s website: http://www.chopra.com/. 37. Chopra Center Meditation website, “Oprah & Deepak 21-day Meditation Experience,” see: https://chopracentermeditation.com/. 38. Kate Pickert, “The Mindful Revolution: The Science of Finding Focus in a Stressed-out, Multi-tasking Culture,” TIME magazine, Feb. 3, 2014; see: http://time.com/1556/the-mindful-revolution. 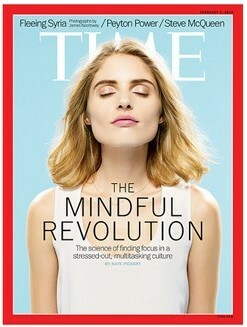 See also: http://www.mindful.org/the-mindful-revolution/. 40. 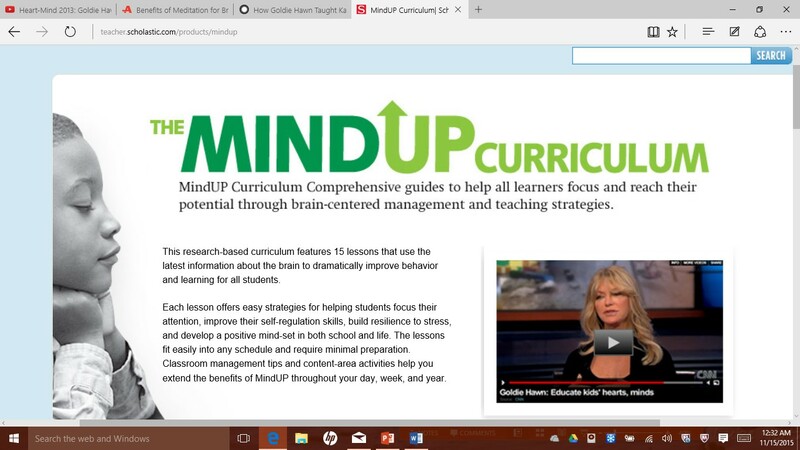 Goldie Hawn, YouTube video filmed in Vancouver, BC, in May 2013, “Heart-Mind: How Mindfulness Helps Children Thrive,” from the 0:24-1:00 minute mark; see: https://www.youtube.com/watch?v=7pLhwGLYvJU. 41. The Dalai Lama Official website; see: http://dalailama.com/biography/significance. See also, Victor & Victoria Trimondi, “The Shadow of the Dalai Lama – Part II – 1. The Dalai Lama: Incarnation of the Tibetan Gods,” see: http://www.trimondi.de/SDLE/Part-2-01.htm. 42. Barbara O’Brien, “What's a ‘God-King’? : The Role of the Dalai Lama in Tibetan Buddhism,” About Religion website; see: http://buddhism.about.com/od/vajrayanabuddhism/a/dalailamarole.htm. 43. Goldie Hawn, “Goldie Hawn's Prescription for Inner Peace: Actress's foundation helps children improve brain health through mindfulness practices,” AARP the Magazine online, Dec. 2014/Jan. 2015; see: http://www.aarp.org/entertainment/style-trends/info-2014/celebrity-goldie-hawn-foundation.html. 44. See the Scholastic website: http://www.scholastic.com/aboutscholastic/index.htm. 45. The Scholastic website; see: http://teacher.scholastic.com/products/mindup/. 46. 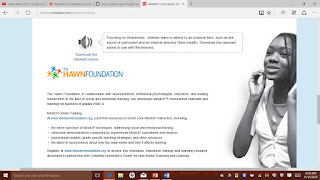 The Hawn Foundation website; see: http://thehawnfoundation.org/about-us/. 47. Ibid. The Scholastic website. 48. 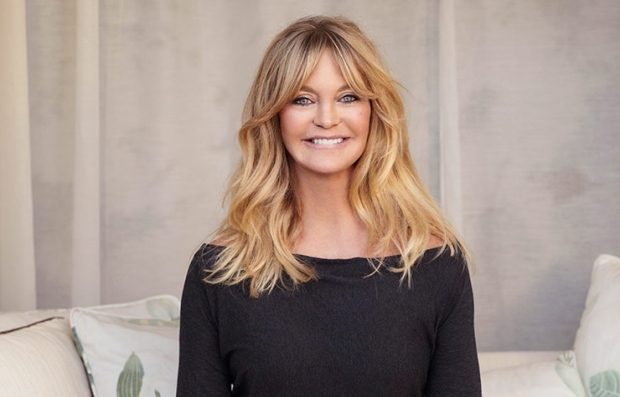 Kelly Frazier, “How Goldie Hawn taught Kate Hudson about the Concept of God and What She Feels Today,” Sept. 6, 2015 World Religions News.com; see: http://www.worldreligionnews.com/religion-news/buddhism/how-goldie-hawn-taught-kate-hudson-about-the-concept-of-god-and-what-she-feels-today. 49. The Christian Meditator website; see: http://www.thechristianmeditator.com/. 50. Ibid. 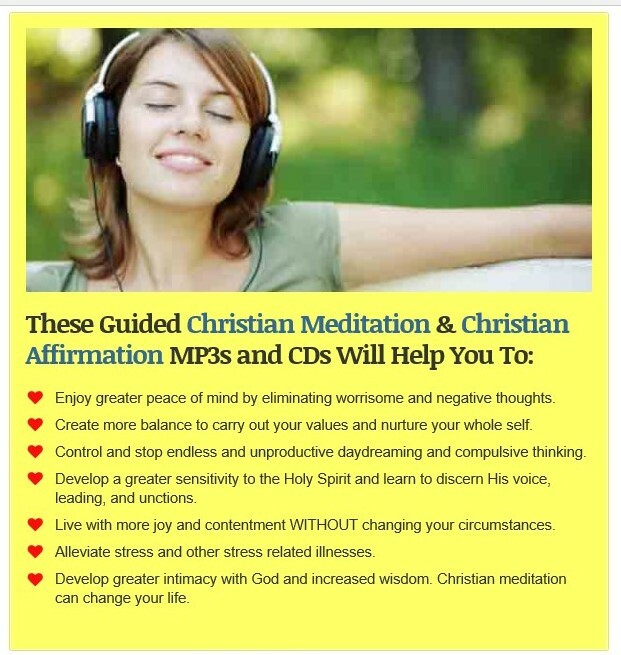 The Christian Meditator. 51. Pastor Larry DeBruyn, “The Present of ‘His Presence’: ‘Emmanuel’ — God is with us!” Herescope, December 31, 2013; see: http://herescope.blogspot.com/2013/12/the-present-of-his-presence.html. 52. The Christianbook.com website; see: http://www.christianbook.com/html/cms/general/CompanyProfile.html. 53. 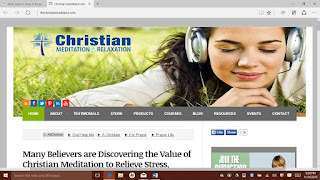 The Christianbook.com website search engine; see: http://www.christianbook.com/Christian/Books/easy_find?Ntt=christian+meditation&N=0&Ntk=keywords&action=Search&Ne=0&event=ESRCG&nav_search=1&cms=1&search=. 55. The Contemplative Outreach website, Fr. Thomas Keating; see: http://www.contemplativeoutreach.org/fr-thomas-keating. See also: Ray Yungen, “The Desert Fathers - Bringing Mysticism to Today's Church,” Lighthouse Trails Research website; see: http://www.lighthousetrailsresearch.com/desertfathers.htm. See also: Gary Gilley, In Plain Site website, “Mysticism,” see: http://www.inplainsite.org/html/mysticism.html. 56. Pastor Larry DeBruyn, “Contemplative or Listening Prayer & Psalm 46:10,” Herescope, September 23, 2012; see: http://herescope.blogspot.com/2012/09/be-still.html. 57. Brian Flynn, “Contemplative Prayer and it is Deceiving,” Worldview Weekend website, April 13, 2006; see: http://www.worldviewweekend.com/news/article/i-watched-be-still-dvd-contemplative-prayer-and-it-deceiving. 58. Christine Pack, “Rick Warren Recommends Centering Prayer,” Berean Research blog, October 16, 2014; see: http://bereanresearch.org/rick-warren-recommends-centering-prayer/. 60. Christine Pack, “John Piper Encouraging Lectio Divina,” Sola Sisters website, January 7, 2012; see: http://www.solasisters.com/2012/01/john-piper-encouraging-lectio-divina.html. See also: Got Questions.org, “What is Lectio Divina?” See: http://www.gotquestions.org/lectio-divina.html. 61. “Spiritual ‘Breathing’", Note: the article is extracted from chapter 6 of In the Name of Purpose: Sacrificing Truth at the Altar of Unity by the late Tamara Hartzell; an in-depth critique of Rick Warren's promotion of Spiritual Formation, Herescope, August 22, 2006; see: http://herescope.blogspot.com/2006/08/spiritual-breathing.html. 62. Note: See footnote 57. Walking a labyrinth is in reality a ‘moving meditation’ akin to doing a kata (floor pattern) in the martial arts. See: Gaylene Goodroad, Christian Martial Arts: Another Bad Branch on the Tree of the New Spirituality, My Life in The Way website, Feb. 2010; see: http://mylifeintheway.blogspot.com/2010/02/christian-martial-arts-another-bad.html. See also, “What is Labyrinth Prayer Walking?” Herescope, October 16, 2005; see: http://herescope.blogspot.com/2005/10/what-is-labyrinth-prayer-walking.html. See also, Lanette Irwin, “Parliament of the World's Religions 2015: An Eyewitness Account,” Herescope, October 20, 2015; see: http://herescope.blogspot.com/2015/10/parliament-of-worlds-religions-2015.html. 63. See: the late Ken Silva’s website: Kevin Kleint, “Soaking—the Trendy Approach to a Holy God,” Apprising.org, Jan 28, 2013; see: http://apprising.org/2013/01/28/soaking-the-trendy-approach-to-a-holy-god/. 64. Note: Occult Visualization (i.e., the Law of Attraction) was made popular by the 2006 book The Secret by Rhonda Byrne. See: The Secret official website; http://www.thesecret.tv/about/rhonda-byrnes-biography/. See also: TheLawOf.com, “Celebrities talk about the Law of Attraction,” 1st March 2015; see: http://thelawof.com/celebrities-law-of-attraction/ and TheLawofAttraction.org, “Famous People who use the Law of Attraction,” 2013; see: http://www.thelawofattraction.org/famous-people-who-use-the-law-of-attraction/. Celebrities promoting the Law of Attraction include: Jim Carrey, Denzel Washington, Matt Damon, Alan Arkin, Richard Gere, Arnold Schwarzenegger, Oprah Winfrey, Will Smith and Steve Harvey. Occult visualization has been marketed in Christian garb by the term, New Thought (see: Pastor Larry DeBruyn, “BEWITCHED! “Evil Eye over Evangelicalism,” Discernment Newsletter, March/April 2010; see: http://discernment-ministries.org/Newsletters/NL2010MarApr.pdf). Iyanla Vanzant, host of the hit television program Iyanla Fix My Life on the Oprah Winfrey Network (OWN), is not only a priestess in the African religion of Yoruba, she also calls herself a Christian New Thought minister. 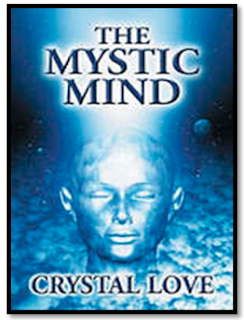 She has written several books dealing with New Age practices, including Eastern meditation. See: Iyanla Vanzant, Tapping the Power Within, Smiley Books, New York, 2008, pp. xii-xxiii, 95-109, 283, and Oprah.com; see: http://www.oprah.com/app/iyanla-fix-my-life.html. 65. Ibid. Gunther Brown, pg. 25. Note: the author of this article is a former martial artist and instructor. She held two separate black belts (each one in 2nd dan or degree) in Shotokan karate and Aikido. Moving meditation is central to martial arts training and practice, including the state of mushin, or ‘no mind’ (or ‘empty mind’) which is an altered state of consciousness achieved through Eastern meditation. These false practices originate from Zen Buddhism and Taoism. • “The Battled Bride: Part 6 - The PASSION of the PRESENCE & the Purpose of the Passion,” Herescope, April 22, 2014; http://herescope.blogspot.com/2014/04/the-battled-bride.html. 67. 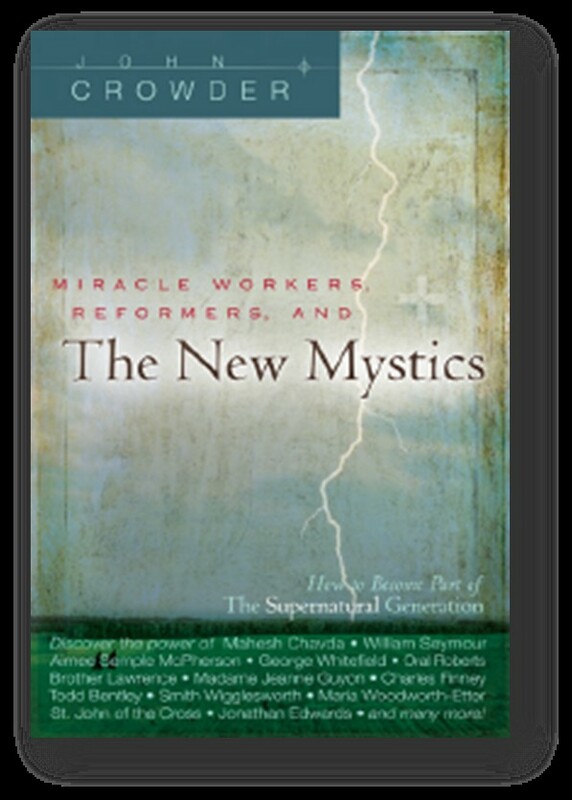 John Crowder, Miracle Workers, Reformers, and The New Mystics: How to Become Part of the Supernatural Generation, Destiny Image Publishers, Shippensburg, PA, 2006. 69. Ibid. Ray Yungen, pg. 130. • Mysticism Part 3: http://www.svchapel.org/resources/articles/23-doctrine/547-mysticism-part-3. 71. Christine Pack, “What Is Mysticism?” Sola Sisters website, March 4, 2011; see: http://www.solasisters.com/2011/03/what-is-mysticism.html.